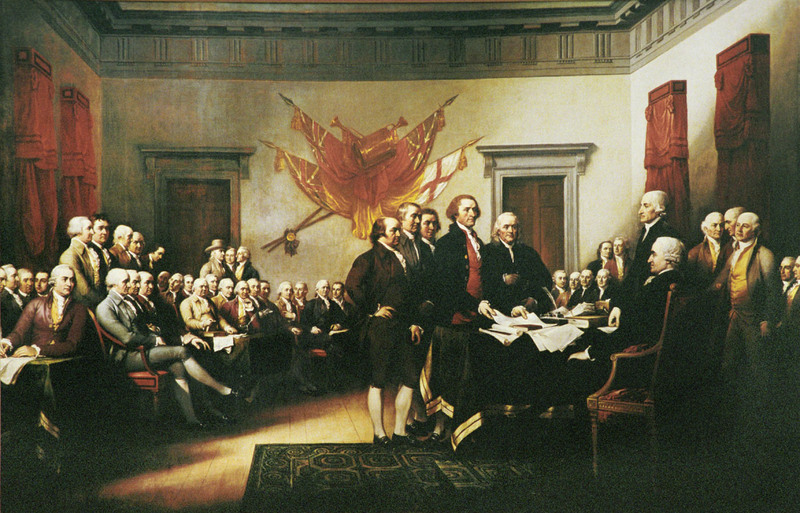 Congress adopts The Declaration of Independence in Philadelphia, PA, on July 4, 1776. 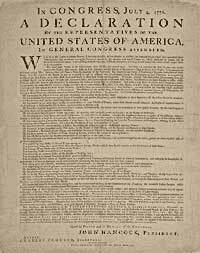 “We hold these truths to be self-evident, that all men are created equal, that they are endowed by their Creator with certain unalienable Rights, that among these are Life, Liberty and the pursuit of Happiness. “— from The unanimous Declaration of the thirteen united States of America, July 4, 1776. Today, as we celebrate Independence Day, July 4, 2017, and enjoy the fruits of our nation’s bounty and the freedom to do so, I encourage you to set aside 45 minutes to watch Alexandra Pelosi’s timely The Words That Built America, debuting tonight on HBO and various other HBO and free streaming and on-demand channels (see below). In a political climate that seems to be playing fast and loose with the charters drafted by our founding fathers, it’s imperative for all of us to become reacquainted with the documents crafted by these brilliant visionaries more than two hundred years ago. The Declaration of Independence, the United States Constitution and The Bill of Rights remain the world’s longest surviving written charters of government and have been used as democratic templates internationally as well. Alexandra Pelosi, producer/director of THE WORDS THAT BUILT AMERICA. Photo: Janet Van Ham. Courtesy HBO. 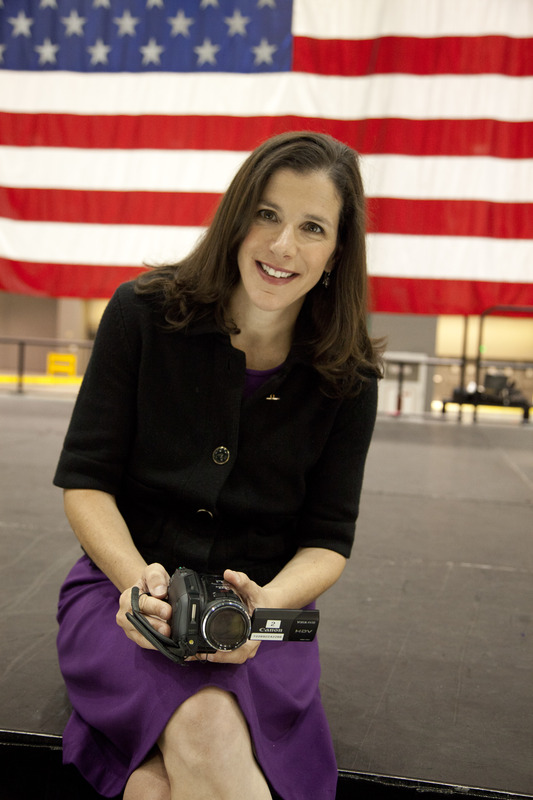 Emmy® Award-winning producer/director Alexandra Pelosi makes the process easy for us. She corralled more than 100 prominent Americans from all sides of the political aisle and encouraged them to face her camera and read unabridged passages from those three documents. Featured are U.S. presidents, vice presidents, Supreme Court justices, Cabinet secretaries, governors, U.S. senators and representatives, as well as notable celebrities and middle school students from the United Nations International School. 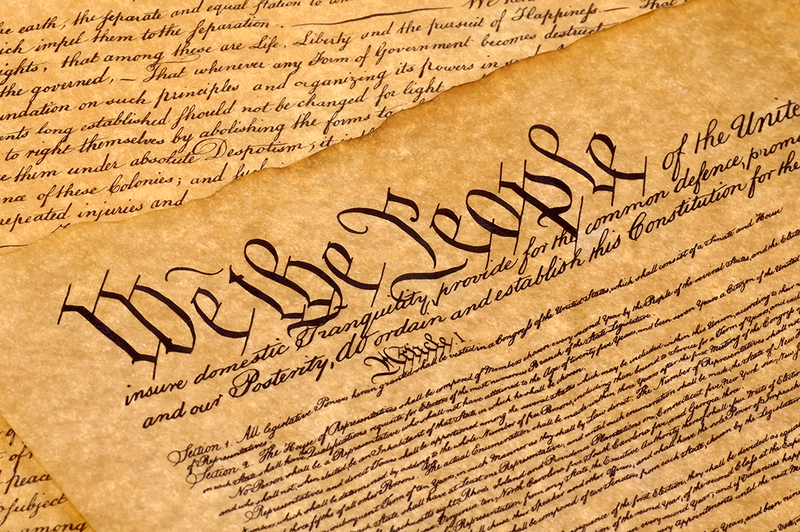 As each individual reads his or her assigned passage from the Declaration of Independence, U.S. Constitution or Bill of Rights, Pulitzer Prize-winning historian David (John Adams) McCullough narrates and interjects historical context and timelines. The Words That Built America debuts on HBO tonight, Tuesday, July 4, 2017, 7:00 – 7:45 p.m. ET/PT. (Check listings for additional HBO playdates in the weeks ahead and availability on HBO On Demand, HBO NOW and HBO Go, and through streaming partners.) The film will also be accessible to non-HBO subscribers, who will be able to view the full program on HBO.com and the HBO YouTube channel, and through participating TV and streaming partners’ platforms and free on-demand channels. In addition, a companion curriculum is being developed to support educators in the classroom; and the film will be donated to the National Constitution Center in Philadelphia for its use in ongoing educational programming. There is no better day than today to revisit and celebrate the powerful documents that gave birth to the United States of America more than two centuries ago. And, going forward, The Words That Built America and its supplementary components will be evergreen educational tools for young people and adults in school, library and college programs focusing on U.S. History and American Government. Now and forever, educated voters are among our nation’s most valuable assets. This entry was posted in Cable, Film and tagged Alexandra Pelosi, American Government, David McCullough, HBO, Independence Day, The Bill of Rights, The Declaration of Independence, The United States Constitution, The Words That Built America, U.S. History. Bookmark the permalink.